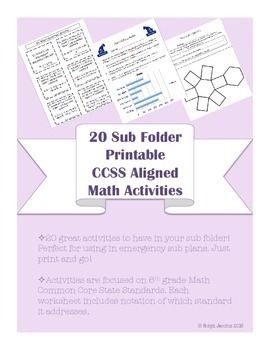 20 great activities to have in your sub folder! Perfect for using in emergency sub plans. Just print and go! Activities are focused on 6th grade Math Common Core State Standards. 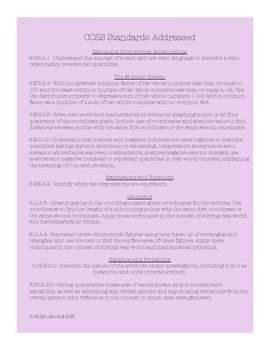 Each worksheet or game includes notation of which standard it addresses. Also includes: a fact sheet for you to fill out about your class, a form substitutes can use to leave you notes for the day, and a sheet for you to fill out with information about any behavioral situations subs should be aware of. A master sheet lists each activity and whether it is for individual work, partner work, small group work or whole class game. 6.RP.A.1- Understand the concept of a ratio and use ratio language to describe a ratio relationship between two quantities. 6.NS.B.4- Find the greatest common factor of two whole numbers less than or equal to 100 and the lease common multiple of two whole numbers less than or equal to 12. Use the distributive property to express a sum of two whole numbers 1-100 with a common factor as a multiple of a sum of two whole numbers with no common fact. 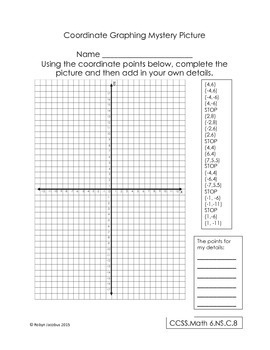 6.NS.C.8- Solve real-world and mathematical problems by graphing points in all four quadrants of the coordinate plane. Include use of coordinates and absolute value to find distances between points with the same first coordinate or the same second coordinate. 6.EE.A.4- Identify when two expressions are equivalent. 6.G.A.3- Draw polygons in the coordinate plane given coordinates for the vertices. Use coordinates to find the length of a side joining points with the same first coordinate or the same second coordinate. Apply these techniques in the context of solving real-world and mathematical problems..
6.G.A.4- Represent three-dimensional figures using nets made up of rectangles and triangles, and use the nets to find the surface area of these figures. 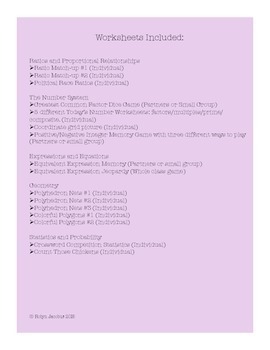 Apply these techniques in the context of solving real-world and mathematical problems. 6.SP.B.5.C- Describe the nature of the attribute under investigation, including how it as measured and units of measurement. 6.SP.B.5.C- Giving quantitative measures of center (mean and/or median) and variability, as well as describing any overall pattern and any striking deviations from the overall pattern with reference to the context in which data were gathered.